We Finance! Bad credit or no credit? No Problem! Apply online! Honda carried over many of the MotoGAP technologies in addition to styling with the 600RR that make it at home on the race track. Undertail exhaust, high revving 599cc liquid-cooled engine with dual-stage fuel injection and 6 speed transmission. Honda’s Intake Air Control Valve is designed to smooth out fuel-injected throttle response combined with the close ratio transmission makes this bike very smooth. 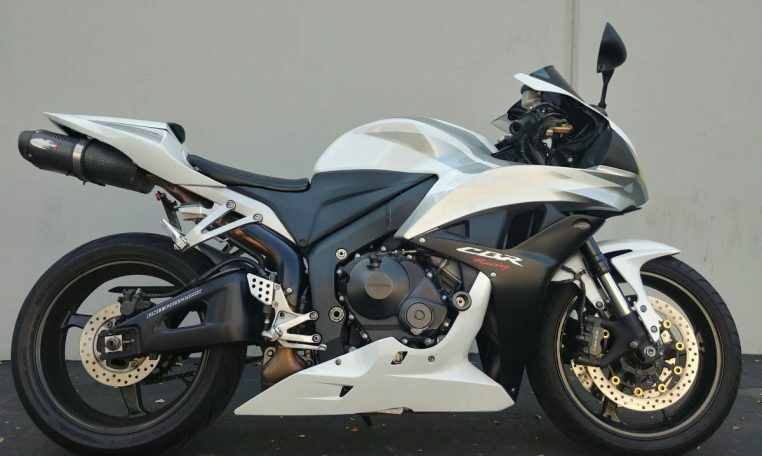 Stainless steel four-into-one under seat exhaust and Unit-Pro link rear swingarm make it one of the best looking 600cc sport bikes around.